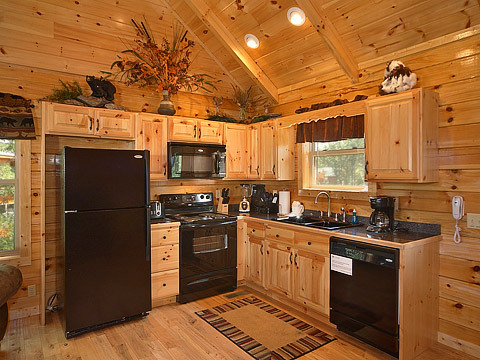 Each suite features a King Size Bed and a full bath with walk in shower. Main level includes a beautifully decorated living area with gas fireplace, queen size sofa bed, dining area, full size kitchen and gorgeous hand hewn floors. 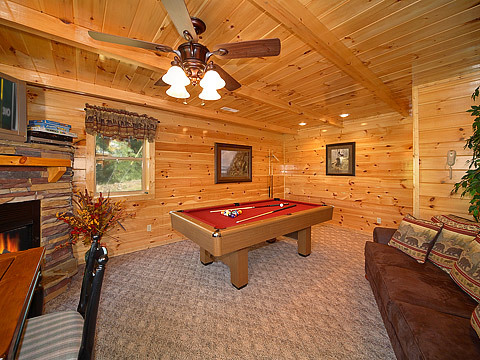 Lower level includes a cozy game room with pool table, foosball, game table and second gas fireplace. 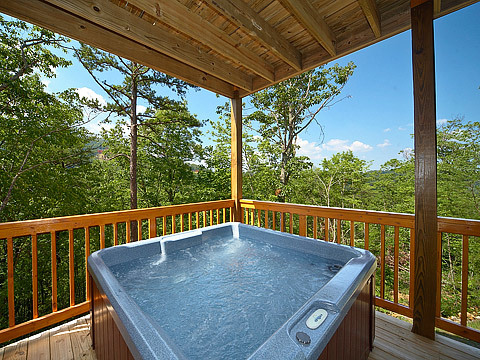 Take in the gorgeous views on the 640 square feet of the 2 covered decks with rocking chairs. The upstairs deck includes a gas grill. Downstairs the deck includes an inviting Hot Tub. Free Access to Cove Mountain Recreation Area with Large Swimming Pool, Picnic Tables, Covered Pavilion, and stocked fishing ponds.